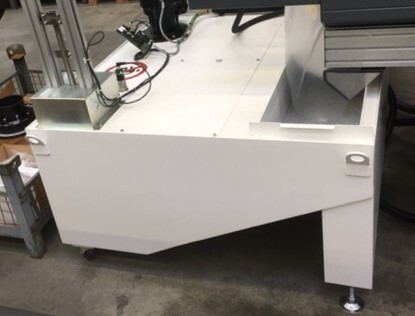 We can supply single units for individual machines or central systems. The central system can deliver coolant to the machines however, the flow and pressure demands can be varied. For example 30 litres per minute to 500 litres per min with pressure varying from 1 to 100 bar per pump. The solution to this is a lower pressure delivery and return ring main with booster stations and dirty return tanks or a combination of tanks. The grinding process is now demanding wheel cleaning where a 40 bar pump is used, and to avoid the use of non-displacement pumps this can be achieved using two centrifugal pumps in tandem. 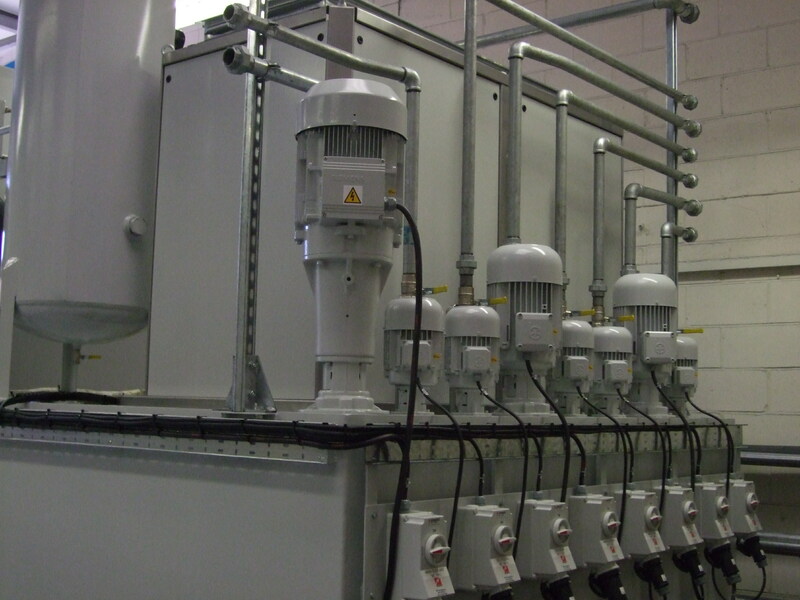 The use of variable frequency drive pumps is sometimes required so that the pump can be moved up and down the curve to achieve different deliveries for different features when they are being ground. An alternative to this is a filter which supplies 2 to 8 grinding machines where the demand is from 500 litres per minute to 2000 litres per minute. The filter can be designed to have a number of different pumps in the clean tank to meet the demands of the grinding process. 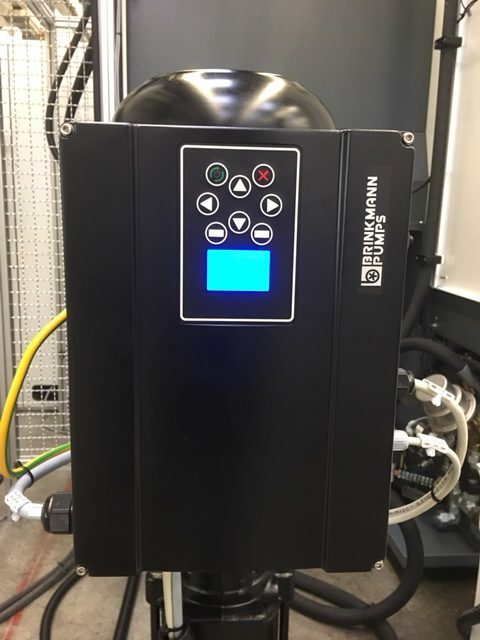 Maintenance can be a concern in a system suppling multiple machines so we can offer pumps on a plug and socket with liquid isolation so a pump can be changed whilst the filter is still in operation. As an alternative duty and stand by pumps can be incorporated also, this system works particularly well when there are two pumps which are the same and a third pump can be added from the start.